The Walker Brothers’ first three albums had included occasional compositions by band members Scott (born Noel Scott Engel) and John (born John Maus), but those were largely lost in the midst of the covers picked out for them by Maus and producer Johnny Franz, some chosen well, others less so. For a true head-scratching moment, search YouTube for the Walkers performing Land of 1000 Dances live: Scott was not born to sing “Mashed potato, alligator, do the snake, do the hippie shake” for a crowd of teenie-boppers, and even as a young man he was self-aware enough to know it. His body language bespeaks a soul-deep wish to be somewhere – anywhere – else. And so he only really starts to figure as a songwriter on his first solo album, Scott, although even here his own work represents just one of the album’s interweaving strands; he also tackles contemporary pieces by Tim Hardin and Mann/Weill, a couple of Hollywood movie songs, and English translations of Jacques Brel chansons. The trick is how seamlessly they blend together, how of a piece with each other Walker and Franz make these songs sound. Such a Small Love and Montague Terrace (In Blue) are the album’s standout Scott originals, and taken together, they say a lot about where Walker was at in 1967. Such a Small Love is most notable for the disquieting cloud of dissonant strings that hang over it throughout. They’re uncannily predictive of Walker’s great masterwork, The Electrician (from the Walker Brothers’ 1979 reunion album Nite Flights), which was over 10 years in the future. The song is a minor work, but here is the sound of Walker ambitiously attempting to create a style for himself whole cloth, and damn near achieving it at the first attempt. Montague Terrace (In Blue) is a rather different animal. Its arrangement is on an even grander scale than that of Such a Small Love, with swirling strings, crashing cymbals and booming tympani, but the sources for it are more obvious: it’s a cross between Broadway, Hollywood and Gene Pitney-style melodrama. Its lyric, meanwhile, shows a heavy, but gauche, Brel influence: the verses are laden with metaphors and similes (“her thoughts lay cold like shattered stone”, etc), while lines like “his bloated, belching figure stomps” are best left unremarked upon. Walker would later would absorb and assimilate Brel’s influence, but at this point he could still fall into pastiching. Yet despite its lyrical clumsiness, the song is more than sturdy enough to bear the weight of its magnificent, enormous arrangement. And that chorus is the most glorious he ever wrote. In the long, strange career of Scott Walker, Montague Terace is a big moment, in every sense of the word. This entry was posted in Music and tagged 1960s, arrangement, Broadway, Gene Pitney, Hollywood, Jacques Brel, John Maus, John Walker, Johnny Franz, Land of 1000 Dances, Mann/Weill, melodrama, Montague Terrace (In Blue), Nite Flights, Noel Scott Engel, orchestration, pastiche, Scott, Scott Walker, songwriting, sound recording, string arrangement, strings, Such a Small Love, The Electrician, the Walker Brothers, Tim Hardin, tympani, Walker Brothers on June 3, 2016 by rossjpalmer. Like most kids, I was interested in space as a boy. I used to read the space section of my family’s junior encyclopaedia over and over again. I read sci-fi books, had space-themed toys, wrote little spacey stories. This was the late 1980s, and though the Challenger disaster was a terrifying recent memory to those older than me (I was only four when it happened) and therefore able to process and absorb what had happened, near-space exploration still seemed to be just the beginning of what we could, and in time would, do. The moon landings still weren’t that far in the past, I suppose. In recent years, I’ve come to find the idea of space (as well as the idea of ocean depths) oppressive, bordering on scary. The idea of so much nothing is more than I get my head around. Perhaps it’d help if I were a scientist and could understand these things on a theoretical or molecular level. As it is, I find just thinking about space overwhelming, a situation perhaps not helped by seeing 2001: A Space Odyssey for the first time, around five or six years ago: that dreadful shot of Frank Poole drifting off into nothingness without end, cut adrift by HAL, his oxygen supply severed. I probably hadn’t thought about space much as an adult, and to an adult – with an imagination more vivid and powerful than that of a child, but simultaneously more grounded in physical reality – the idea of being out there in such a blankly hostile environment wasn’t cool and exciting, it was terrifying. We aren’t meant to be up there. We’re not built for it. It’s improbable that these things were occupying Gustav Holst all that much when he wrote The Planets between 1914 and 1916. Holst was an amateur astrologer, and his movements are named after the qualities associated with the planets in astrology rather than astronomy. The movements that interest me most are very different: Venus, the Bringer of Peace and Neptune, the Mystic. Venus’s beauty is heavenly, lulling flutes, a tinkling celeste, soft harps and mellifluous French horns, with only the double bass hinting of mystery and danger hidden behind that impassive-looking cloud structure. Neptune (like Mars, in 5/4 time) is something else again, with its emphasis more on texture and atmosphere than melody (not to say that its melodies aren’t exquisite). This is music of unimaginable distances and patterns we’re far too puny to discern. It’s most chilling moments come shortly before the female chorus enters. We hear a dark, barely discernible rumble from the organ accompanied by arpeggios on the celeste. Harpists play continuous ascending and descending glissandos before, finally, the cellos and oboes play an ascending melody that just won’t resolve; Holst leads you up and then away from where you feel the point of resolution should be. At this point the voices enter. Such a work as Neptune, the Mystic seems to give us such a glance into the future—it ends, so to speak, on a note of interrogation. Many composers have attempted this, sometimes bringing in the common chord at the end as an unwilling tribute to tradition, sometimes sophisticating it by the addition of one discordant note, sometimes letting the whole thin out into a single line of melody; but Holst in Neptune actually causes the music to fade away to nothing. We look into the future, but its secrets remain closed to us. The chorus does, as Holst says, “fade away to nothing”. The singers, screened so as never to be visible to the audience, slowly walk out of the concert hall into an adjoining room, and a door is closed quietly behind them. 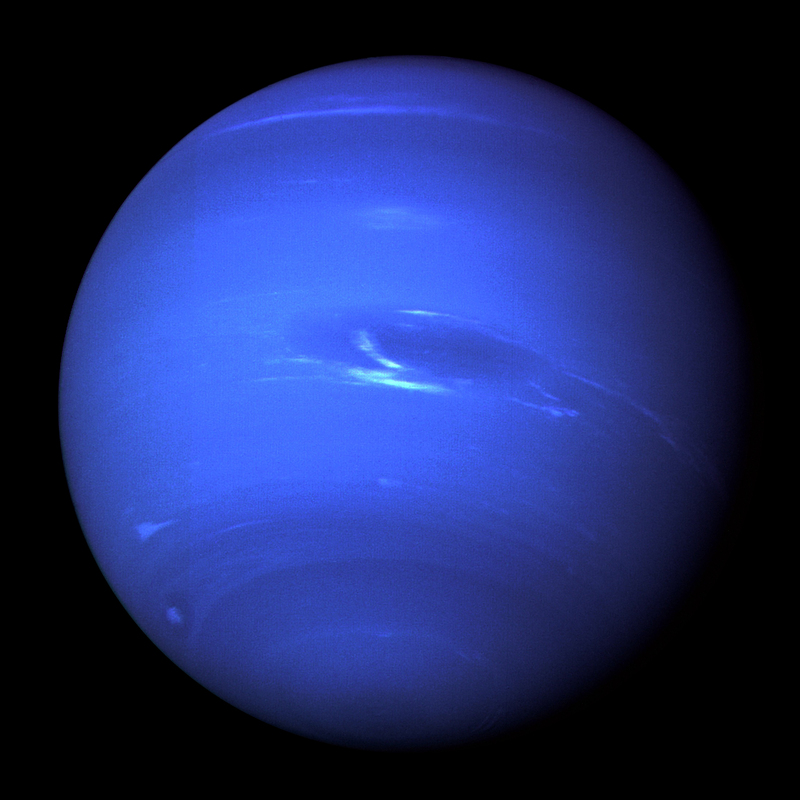 This in itself was a daring, near unprecedented, move, but in its totality, Neptune creates a vocabulary of space music that is still being employed today in movie scores*: delicate, sparse orchestration and quizzical chords, high, sustained strings, the interplay of deepest bass and lightest treble, the choice of instruments to create uncanny timbres – Neptune succeeds so well in evoking space (in a way that the other movements of the suite, no matter how successful, don’t try to – as they are intended to, they evoke the moods and humours the planets are associated with in astrology) that it spawned hundreds of imitators in the movies, and may fool us into thinking that Holst himself was working in an extant tradition rather than calling one into existence through the sheer scope of his imagination. * Perhaps the most obvious Planets reference is in John Williams’s Star Wars music, which quotes the ending of Mars almost exactly. The mood of Neptune, meanwhile, is Hollywood’s default “mysterious space” mood, with the gentle moments of James Horner’s Aliens score, for example, deeply in hock to it. This entry was posted in Music and tagged 2001: A Space Odyssey, 5/4 time, arrangement, astrology, astronomy, Cecil Spring Rice, celeste, cellos, Challenger disaster, choir, chorus, classical music, Conrad Noel, Daisy Countess of Warwick, double bass, Essex, flutes, Frank Poole, French horns, Gustav Holst, Hal, harps, I Vow to Thee My Country, Jupiter the Bringer of Jollity, Mars the Bringer of War, Neptune the Mystic, oboe, orchestra, orchestration, organ, Ralph Vaughan WIlliams, Thaxted, The Planets, Venus the Bringer of Peace on July 25, 2015 by rossjpalmer. It’s obvious why a young Tom Waits fan would have picked Rickie Lee Jones out of the four-for-£20 rack in Leigh-on-Sea’s Fives record shop 10 or so years ago. Jones, I knew, had been in a relationship with Waits at the start of her career, and I’d heard that her music mined similar territory to Waits’s, with storytelling lyrics drawing on a life spent within a Los Angeles beatnik demi-monde that had somehow still magically existed in the era of The Long Run and the Nervous Breakdown EP. I was disappointed. While it contains some great songs, Rickie Lee Jones’s debut is a bit of a mess. 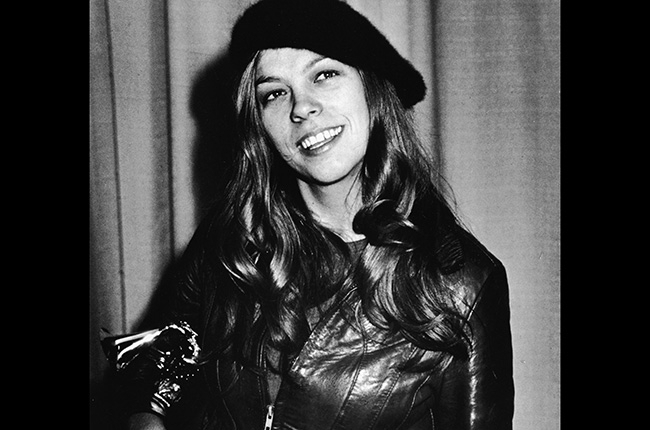 The heavy-hitting Warner Brothers production team, Lenny Waronker and Russ Titelman, had assembled an awesome array of instrumental talent* to play on her album, the same session kings that also featured on mid- to late-seventies records by LA titans like Joni Mitchell, Steely Dan and Randy Newman (including Newman himself). But as with Joni’s Wild Things Run Fast, the result – heavy on tinkly electric piano and, gasp, slap bass – was polite and bland. On low points like Young Blood, musicians run through their licks but seem to exist in a different world to Jones’s vocal. I can’t imagine the demo to that one wasn’t hugely superior. That wasn’t the only problem, though. Jones wasn’t writing uniformly strong melodies (her songs have never really found favour with other performers, especially compared to those of a certain other songwriter I should probably stop mentioning at this point) and her drawled vocals sometimes sounded less like jazz and more like pastiche or like an idea of jazz. In fairness, this was her debut and she hadn’t had time to grow into herself or her persona yet; even with as sympathetic producer as Waronker at the helm, she couldn’t help but come off as callow. On Saturday Afternoons in 1963 is, then, the standout moment on the album, Chuck E’s in Love aside. Certainly it’s the song that has the biggest emotional wallop. Recorded live at TBS a month after the main tracking sessions for the record, and like After Hours (the other song recorded this supplementary session) featuring only piano, vocal and strings, it benefits hugely from its sparse arrangement and straightforward vocal performance. Jones sounds, appropriately given the song’s themes, more at home here. I don’t know that I can make much literal sense of the lyric, but that’s relatively unimportant. The song’s power comes from the repetition of “years may go by” – the sort of micro-phrase that invites the listener to attach their own associations, positive or negative, wistful, nostalgic, regretful, joyful, whatever – over that piano riff and the supporting orchestration. Meaning is suggested simply by the way Jones hangs on to the word “years”. What may have happened in the time since the childhood being invoked here? A novel’s worth of possibilities is contained within that one word. So many successful songs work this way, because the writer paired the right phrase with the right snippet of melody. Maybe some tunes are so charged with inherent meaning that they lead the writer to pick the correct lyric to pair them with. Fortunately for Jones and for her listeners, when this tune spoke to her, she listened. *Let me run through some of the credits for you: Dr John, Michael McDonald, Randy Newman, Victor Feldman, Tom Scott, Steve Gadd, Buzz Feiten, Andy Newmark, Jeff Porcaro, Willie Weeks and, inevitably, Michael Boddicker. Some of these guys are among my favourite players ever. I’ve written about almost all of them in glowing terms elsewhere on this blog. This entry was posted in Music and tagged Andy Newmark, arranging, Best New Artist, Black Flag, Blue Valentine, Buzz Feiten, Chuck E's in Love, Dr John, Fives, Grammy Award, how songwriting works, Jeff Porcaro, Joni Mitchell, Leigh-on-Sea, Lenny Waronker, Michael Boddicker, Michael McDonald, On Saturday Afternoons in 1963, orchestration, Randy Newman, Rickie Lee Jones, Rickie Lee Jones debut album, Russ Titelman, Steely Dan, Steve Gadd, TBS, The Eagles, The Long Run, the Nervous Breakdown EP, Tom Scott, Tom Waits, Trouble in Paradise, Victor Feldman, Warner Brothers, Wild Things Run Fast, Willie Weeks, years may go by on February 6, 2015 by rossjpalmer. There’s nothing I don’t like about the Delfonics’ Didn’t I (Blow Your Mind this Time). Thom Bell’s luxurious sting arrangement, William Hart’s soaring falsetto, the electric sitar (Bobby Eli, I think, rather than Norman Harris), Bobby Martin’s French horn call that begins the song, the key change to A going in to the first verse from the intro, that rhythmically displaced chord change in the chorus – it’s all wonderful, and you can’t give enough credit to Thom Bell for his creativity. But even so, when I put the song on, it’s usually because I want to hear that drum track. And for that, we have MFSB drummer Earl Young and engineer Joe Tarsia to thank. 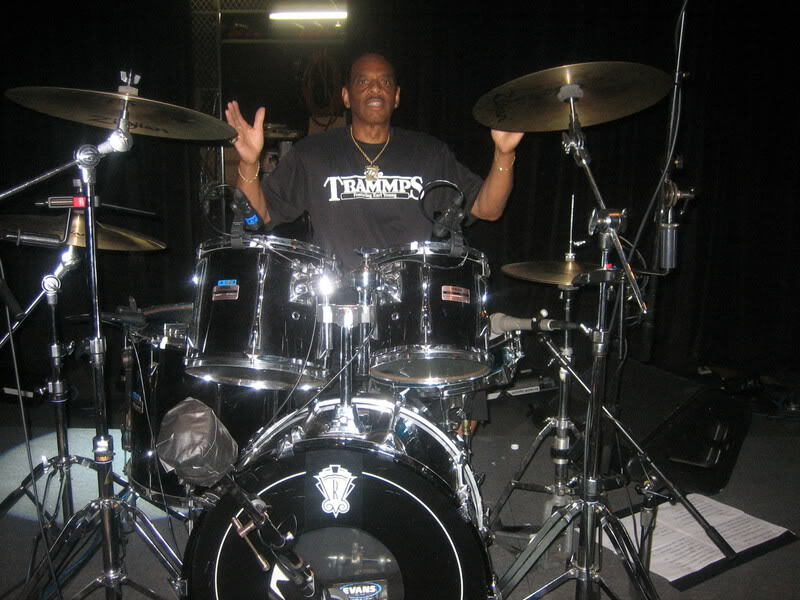 Earl Young is an unquestionable great of popular music, the supplier of countless great drum performances from the late 1960s and all through the ’70s. But he shines brightest on Didn’t I (Blow Your Mind this Time). Joe Tarsia, engineer and studio owner, and presumably Thom Bell (since, as producer, the decision was ultimately his) were convinced of the need for the drums on their records to be uncompressed, loud and proud. As a consequence, no matter how sophisticated, ornate and opulent the arrangement, the drum tracks on songs coming off the Philly conveyor belt meant business. Young’s studio kit had a 26-inch bass drum. On Didn’t I (Blow Your Mind this Time), Young plays meaty, powerful rimshots all the way through (which, along with his intricate hi-hat work, is a Young trademark), his tom-and-snare build-ups in the choruses have an aggressive physicality to them and his work on the brass is decisive and authoritative. Didn’t I (Blow Your Mind this Time) is a complex, conflicted song, and, to wax psychological for a moment, if the orchestra reinforces and amplifies the tenderness that the singer still feels for his love, Earl Young’s drums stand for the part of him that is delighted to be standing up for himself and finally be proving her wrong. Young’s magnificent performance is given the sound it deserves by Joe Tarsia, recording engineer and owner of Sigma Sound studio. His philosophy was to attempt to record the session as accurately as possible and save the clever stuff for the mix, but he was not afraid of capturing real room sounds as part of that process. The drum sound on Didn’t I (Blow Your Mind this Time) is noticeably reverberant and big, and it’s not something that was added in mix. Indeed, Greg Milner quotes Tarsia as describing the contemporaneous West Coast quest for total separation and dryness as “ridiculous… it was the producer not willing to commit. He wanted to be able to take the guitar out later, which you can’t do if it’s bleeding into five other microphones.” Leakage was Tarsia’s friend, not something of which he lived in mortal fear, and he sculpted that live sound – and, according to Milner, the session that produced the backing track for Didn’t I (Blow Your Mind this Time) was completely live, orchestra and all – into one of the most incredible-sounding recordings ever made. This entry was posted in Music and tagged ambience, arrangement, Bobby Eli electric sitar, Bobby Martin French horn, Delfonics, Didn't I (Blow Your Mind this Time), displaced chord changes, drummers who can drum/singers who can sing, Drums, Earl Young, Earl Young drummer, electric sitar, falsetto, French horn, Greg Milner, hi hat, Joe Tarsia, kay change, leakage, orchestration, Philly Groove, Philly soul, records that sound great!, room sound, Sigma Sound, singer, soft soul, Thom Bell, underrated drum tracks, underrated drummers, William Hart on September 28, 2014 by rossjpalmer.